Posted by Ada Wang on 11/13/2017 11:31:21 AM. More and More people ask me, how to read iBooks ePUB on Mac/PC, the most problem is Apple inc not publish the iBooks for Mac/PC version, everybody just can read the books on iPad, iPhone, iPod with iBooks app, but can't read iBooks for Mac/PC. Apple said they are going to release iBooks for Mac on OS X 10.9 Mavericks this Autumn, it will be pretty close to its mobile counterpart. 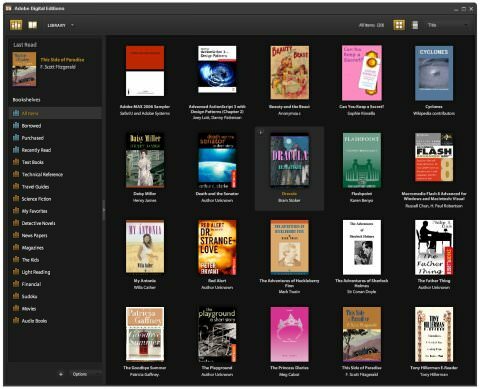 You'll be able to read and shop for books on your Mac. The app seems to work pretty much as it does on iOS, but it's good to finally see it available for Mac users. The only setback for reading iBooks is that we are not having iBooks for PC client yet. Nevertheless, we can do some tricks to get iBooks for PC. Here are two methods helps you read iBooks ePUB on Mac/PC. Anybody use Apple Devices must have installed iTunes, Authorize iTunes with your Apple ID, and connect iPad/iPhone/iPod to your computer(Mac/PC), then you will find the iBooks Books as bellow. 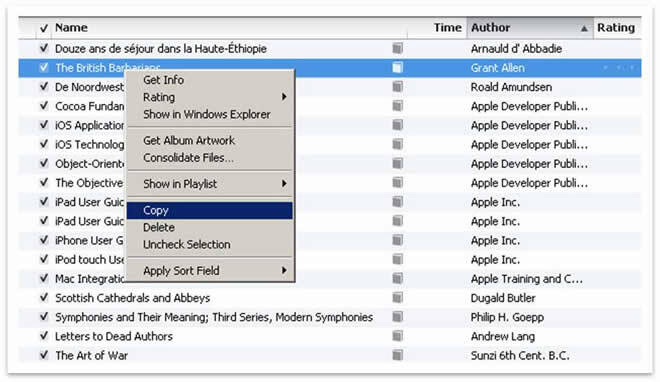 Choose an eBook then right click on it, select Copy, then you can copy them to your computer. For reading the copied iBooks ePUB for Mac, you need install an ePUB Reader for Mac, the best is Adobe Digital Editions. Note: If the books have DRM, it will blank when read ePUB on Mac. You need remove DRM from iBooks ePUB at first. Requiem 3.35 can helps you remove DRM from iBooks ePUB. Step 3, Run iBooks DRM Removal tool Requiem to remove DRM from iBooks ePUB, then you can read the iBooks ePUB on Mac/PC or other supported devices. Step 4, Find you books in your local drive, you can get the path information in iTunes. Success, now the protected iBooks turn to normal ePub, you can read it by Adobe Digital Editions on Mac. Attention: All the content above are just for computer technology communication, not for commercial use. And no tool related to decrypt iBooks is provided here. If you have any problems with the content above, please contact us. 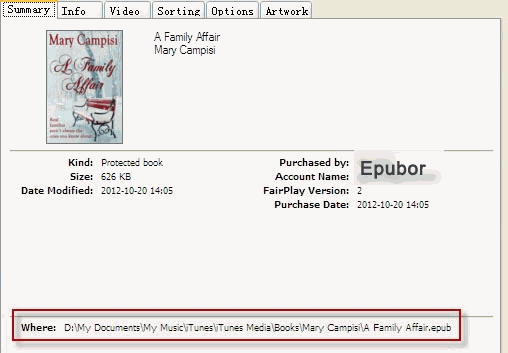 If you are using Kobo Reader, Sony eReader, Google eReader etc, you can choose ePUB DRM Removal for Mac for removing DRM. This doesn't work at all. Epubee does not remove DRM for Apple iBooks. iBooks has cracked now, here is the ibooks DRM Removal freeware. libri da leggere on line..
You mean your iPad doesn't support arabic? Or your Macbook Pro doesn't support arabic?? I tried to remove the DRM from an ebook I just purchase (6-17-14). EPubDRMRemoval, Requiem and ePubeeDRMRemoval apps all failed. Some replied with success... did not happen. EPubDRMRemoval at least gave an error stating that it could not remove this type of DRM. I hope someone cracks it soon so I can use it in a reader of my choice.